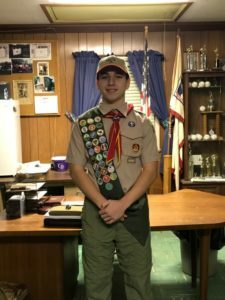 Troop 223’s 75th Eagle Scout, Nick Razzano! Congratulations to our 75th eagle scout Nick Razzano! The path to eagle is a very difficult and long one that few scouts ever get to the end of, it’s a huge accomplishment! Once again, congratulations!